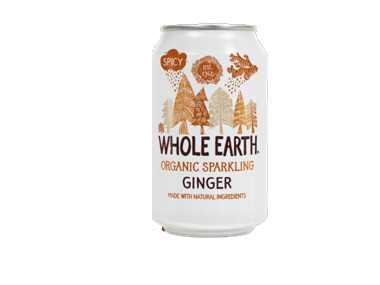 Buy Whole Earth Organic Sparkling ginger Drink - 330ml in the UK from our online shop or directly from our independent Scottish store. Whole Earth lightly sparkling organic ginger drink is a fiery hot sensation balanced with fruit juices in a 330ml Can. Whole Earth lightly sparkling organic ginger drink is a fiery hot sensation balanced with fruit juices in a 330ml Can. Organic. Suitable for vegetarians and vegans. We sell real Whole Earth and other Juices & Soft Drinks directly from our shop in Scotland and online throughout the UK. Where can you buy real Organic Sparkling Ginger Drink safely online? If you are wondering where you can buy Whole Earth Organic Sparkling ginger Drink - 330ml safely online in the UK, then shop with us. Organic Sparkling Ginger Drink - Whole Earth Organic Sparkling ginger Drink - 330ml in Juices & Soft Drinks and Drinks.